ACM SIGGRAPH Asia 2011. Transactions on Graphics 30(6). Figure 1: Dynamic light field display using polarization field synthesis with multi-layered LCDs. (Left) We construct an optically-efficient polarization field display by covering a stack of liquid crystal panels with crossed linear polarizers. Each layer functions as a polarization rotator, rather than as a conventional optical attenuator. (Right, Top) A target light field. (Right, Bottom) Light fields are displayed, at interactive refresh rates, by tomographically solving for the optimal rotations to be applied at each layer. (Middle) A pair of simulated views is compared to corresponding photographs of the prototype on the left and right, respectively. Inset regions denote the relative position with respect to the display layers, shown as black lines, demonstrating objects can extend beyond the display surface. We introduce polarization field displays as an optically-efficient design for dynamic light field display using multi-layered LCDs. 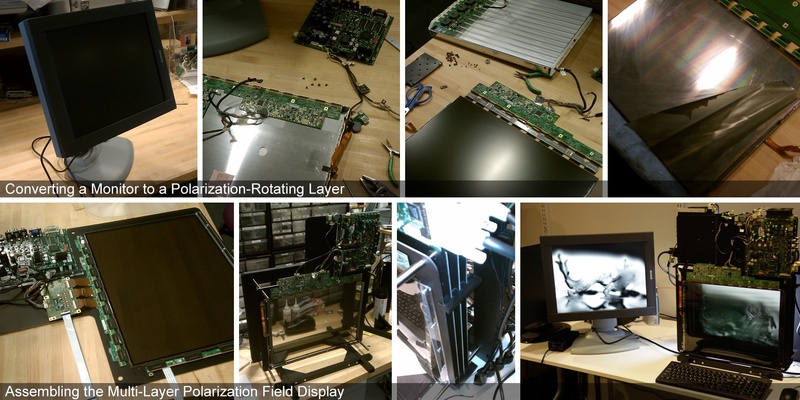 Such displays consist of a stacked set of liquid crystal panels with a single pair of crossed linear polarizers. Each layer is modeled as a spatially-controllable polarization rotator, as opposed to a conventional spatial light modulator that directly attenuates light. Color display is achieved using field sequential color illumination with monochromatic LCDs, mitigating severe attenuation and moiré occurring with layered color filter arrays. We demonstrate such displays can be controlled, at interactive refresh rates, by adopting the SART algorithm to tomographically solve for the optimal spatially-varying polarization state rotations applied by each layer. We validate our design by constructing a prototype using modified off-the-shelf panels. We demonstrate interactive display using a GPU-based SART implementation supporting both polarization-based and attenuation-based architectures. Experiments characterize the accuracy of our image formation model, verifying polarization field displays achieve increased brightness, higher resolution, and extended depth of field, as compared to existing automultiscopic display methods for dual-layer and multi-layer LCDs. D. Lanman, G. Wetzstein, M. Hirsch, W. Heidrich, R. Raskar. 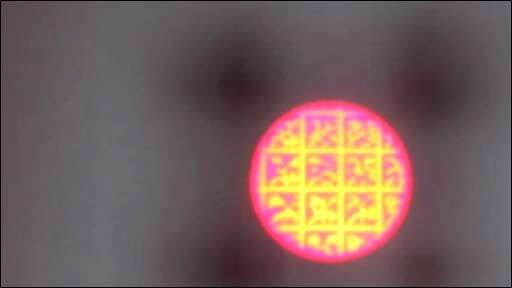 Polarization Fields: Dynamic Light Field Display using Multi-Layer LCDs. Proc. of SIGGRAPH Asia 2011 (ACM Transactions on Graphics 30, 6), 2011. Figure 2: Polarization-based vs. attenuation-based multi-layer LCDs. (Top, Left) An attenuation-based light field display requires stacking liquid crystal panels with polarizers between each layer. This construction effectively creates a programmable transparency stack. (Top, Right) Polarization-based light field displays improve optical efficiency using a single pair of crossed polarizers. (Bottom) Corresponding photographs of the prototype configured as a an attenuation-based vs. polarization-based multi-layer LCD. Figure 3: Constructing the polarization field display prototype. Four monochromatic, off-the-shelf medical LCDs were modified to create a single multi-layer LCD. Polarizing films were removed and electronics repositioned so the panels could be mounted on custom-fabricated frames. The layers are separated by acrylic spacers and illuminated by a uniform backlight. Figure 4: Polarization field display using multi-layer LCDs. The central views (i.e., those seen directly in front of the display) are shown for the “Buddha”, “dice”, “dragon”, and “car” scenes. The expected views, as predicted by the layered polarization rotator model and the layered multi-domain LCD model, are shown along the left and right columns, respectively. Corresponding photographs of the prototype are shown along the middle column. Color imagery results from combining three photographs taken while varying the color channel displayed by the monochromatic panels. Note that color artifacts and halos are more accurately predicted by the layered multi-domain LCD model; yet, overall performance is approximated by the layered polarization rotator model. With this approximation, dynamic display is feasible, at the cost of increased image artifacts. 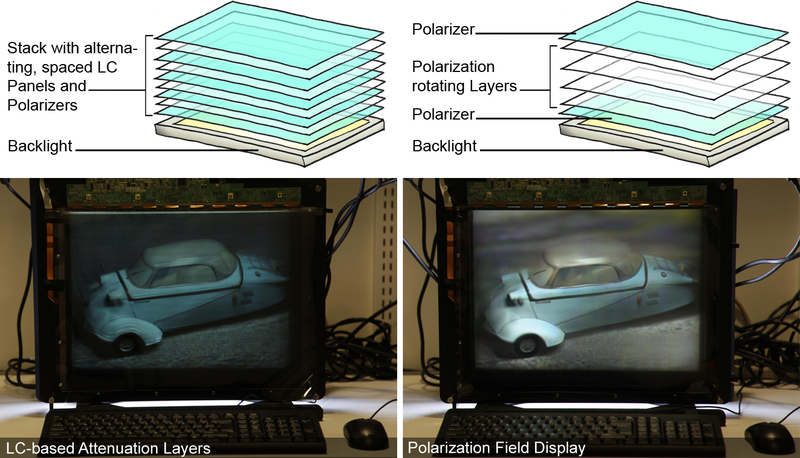 Figure 5: Comparison of polarization field display to “Layered 3D” (i.e., attenuation layers). Simulated light field reconstructions using polarization fields (top row) and attenuation layers (bottom row) are shown for two, three, and five layers from left to right. Layer positions with respect to the scene are illustrated in the insets. Note that the reconstruction fidelity of objects within and outside the physical display extent increases for a larger number of layers, as highlighted by the cyan and yellow regions, respectively. Due to bias in the least-squares solution for a log-domain objective, optimized tomographic reconstructions for attenuation-based displays suffer from halo artifacts around high-contrast edges, which is not the case for polarization field displays. 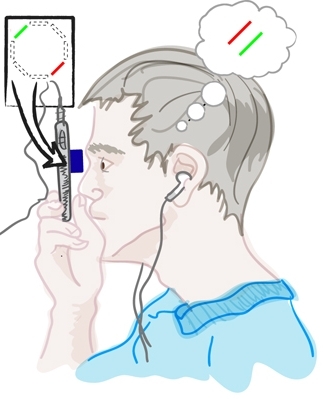 Figure 6: Benefits of polarization field display. 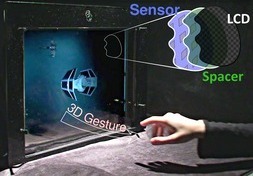 Conventional glasses-free 3D displays employ either a lenslet array (top, left) or a parallax barrier (top, right) to project multiple viewpoints. 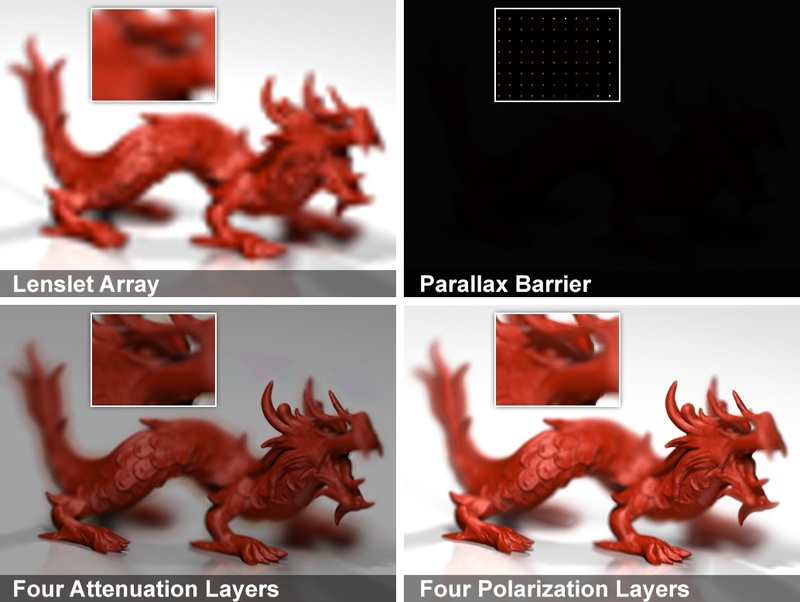 As compared in the inset regions, parallax barriers consist of a uniform array of pinholes to support both vertical and horizontal viewer movement. As a result, parallax barriers severely reduce the brightness and resolution of the depicted scene. 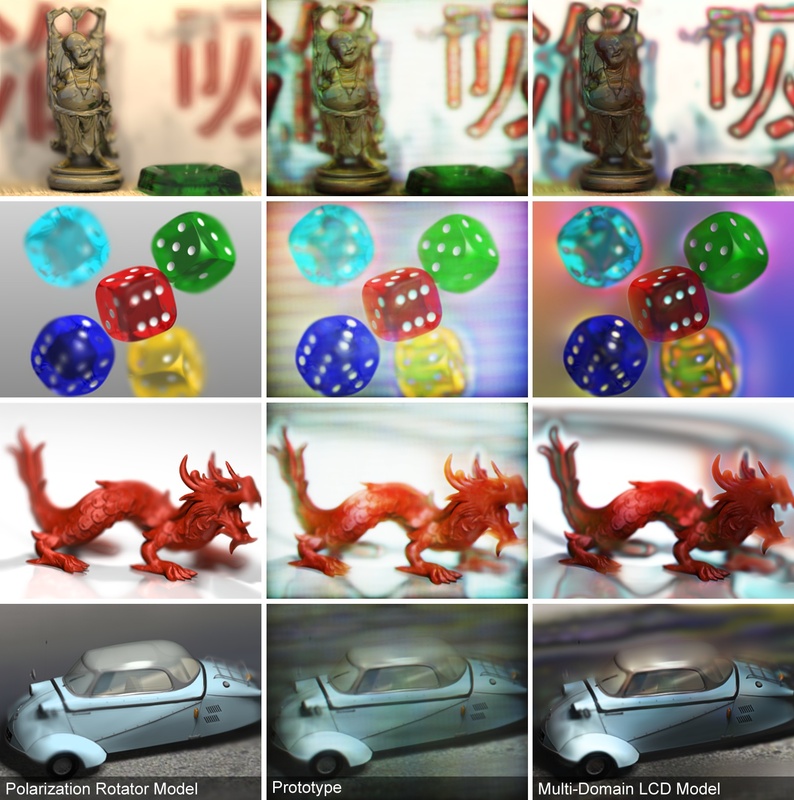 In contrast, “Layered 3D” (bottom, left) uses multiple attenuation layers to increase resolution and brightness, as compared to both lenslet arrays and parallax barriers. Yet, by optimizing the optical configuration of layered LCD panels, polarization fields (bottom, right) achieve further improvements in brightness and image fidelity. We thank the reviewers for their insightful feedback and recognize the support of the MIT Camera Culture Group and the UBC Imager Laboratory. We also thank the MIT Media Lab sponsors. Douglas Lanman was supported by NSF Grant IIS-1116452 and DARPA Grant HR0011-10-C-0073. Gordon Wetzstein was supported by a UBC Four Year Fellowship. Wolfgang Heidrich was supported under the Dolby Research Chair in Computer Science at UBC. Ramesh Raskar was supported by an Alfred P. Sloan Research Fellowship and a DARPA Young Faculty Award. MIT Media Lab - All rights reserved.